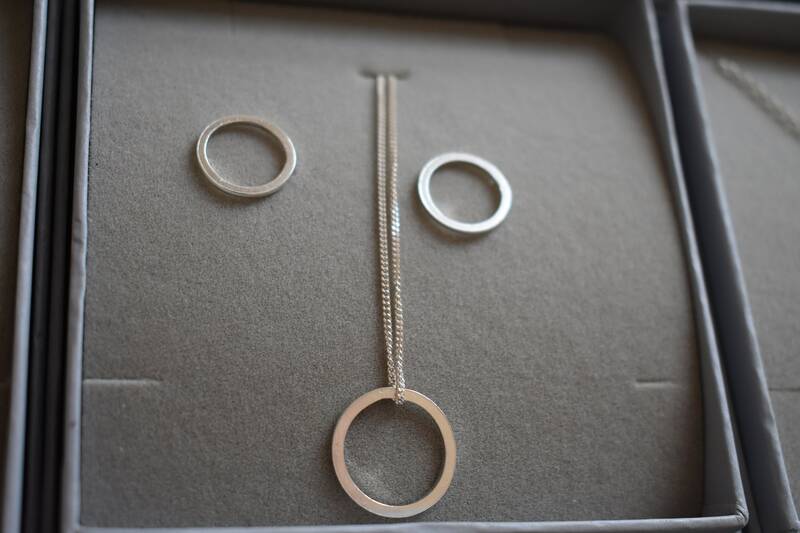 Dainty circle hoop earrings and circle necklace Gift Set. Pretty Circle front stud earrings and a minimal circle necklace on 18 inch sterling silver chain. Handmade in my Edinburgh studio. Both items come gift ready in a beautiful presentation box. Perfect for a Christmas present. The set is very neutral as well as contemporary and stylish, so suitable for any jewellery wearer. The set pictured in this listing is for display purposes as all new purchases will be made to order. Please expect around a 2 days lead time from placing your order until dispatch (this doesn't include additional shipping time), but I always aim to make and post as soon as possible.